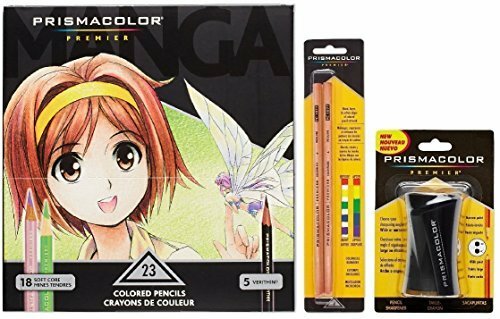 This deal includes 23 Prismacolor premier soft core colored pencils, One Prismacolor premier pencil sharpener, and a 2-pack of Prismacolor colorless blender pencils Soft leads create a smooth color laydown for superior blending and shading. Pigments are slow to wear, light-resistant, and waterproof. Prismacolor premier pencil sharpener is specifically designed to sharpen prismacolor pencils to a perfect point Prismacolor colorless blender pencil is Perfect for blending and softening edges of colored pencil artwork without altering your palette.